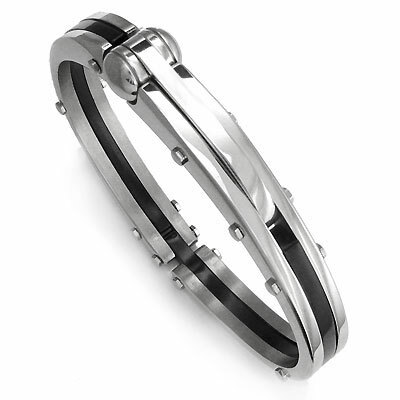 The most chic and stylish industrially themed men's cuff bracelet featuring screwheads and spring hinged clasp. The center avant-garde fiber layer is secure in-between the stainless steel outer layers by the screws. It looks very futuristic!